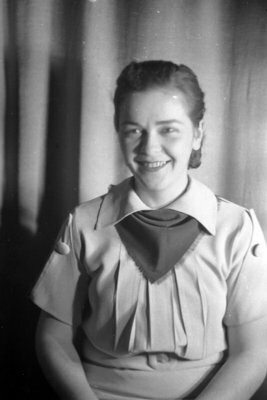 A black and white negative of Betty Lawler in her girl guide uniform. Betty Lawler, c.1930, Marjorie Ruddy. Whitby Archives A2013_040_108F.